If you own a Nokia Lumia smartphone running Windows Phone 8 or Windows Phone 7.5, Nokia is offering a new video game download at no charge. 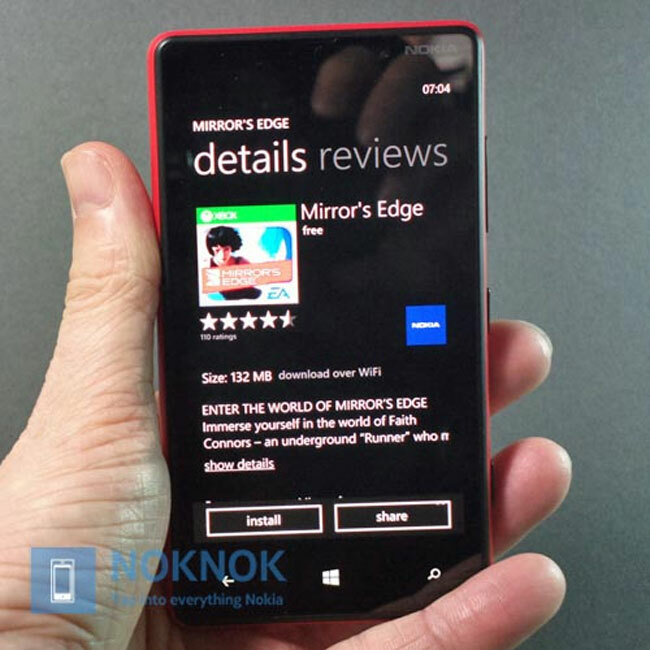 Nokia has added the game Mirror’s Edge to the Nokia Collection. The game launched last July for £2.29, but is available to download right now at no cost exclusively for Nokia smartphone owners. The game is a large 132 MB file that requires a Wi-Fi connection. The game reportedly works fine on high-end devices such as the Lumia 820 and less powerful devices such as the Lumia 610. If you’re unfamiliar with this game, you will play as faith, who is a runner delivering messages in a dystopian future. Faith has to free run around the environment while dodging government surveillance and attempts on her life.